Turn your back on this, and you’re right in front of the place where the largest known geyser on Earth erupted in the 1900s – the Waimangu. Every 36 hours, this geyser shot out a water jet reaching up to 400m; each eruption lasting several hours. The local volcano with global implications. Boys and girls! Can you guess what my biggest concern is now after my return from New Zealand? It’s that I’ve already done 8 posts and I haven’t even got to the halfway point of my trip! Given the catastrophic time constraints I’ve been under of late, there’s not even the slightest glimmer of a light at the end of the tunnel. Quite unexpectedly, though, I have half an hour of free time, so I can post some nice photos and a few more tales. This was the most positive picture of all. After that things got a bit more scary. The attentive reader of my ‘reports’ from New Zealand must have noticed that most of the place names here are of Maori origin. 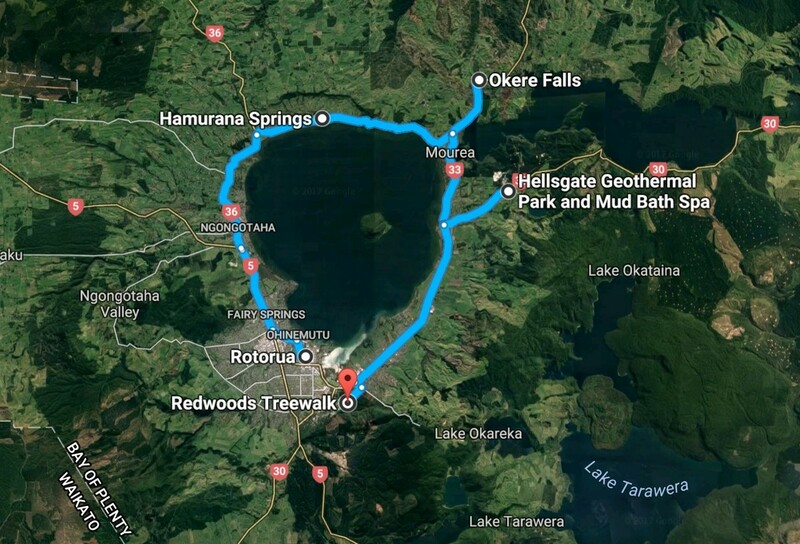 All of them mean something in the Maori language; for instance, Rotorua apparently translates as “the second large lake”. For example, the names of the large cities were given by the British colonists. 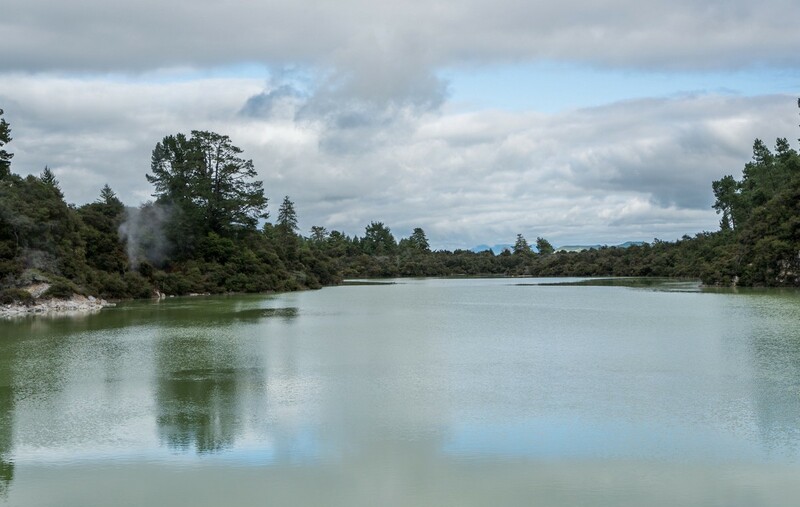 Or, take the Lady Knox geyser – the Maori didn’t have any other name for it, nor was it a geyser back then. There are some other English place names too, such as Kerosene Creek. There are a few recommendations on the Internet. This is where we headed. Well, what can I say? This was another highly photogenic locale in New Zealand. 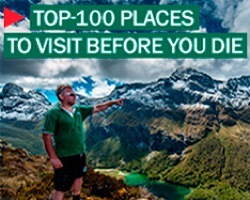 New Zealand’s hottest volcanic attractions. 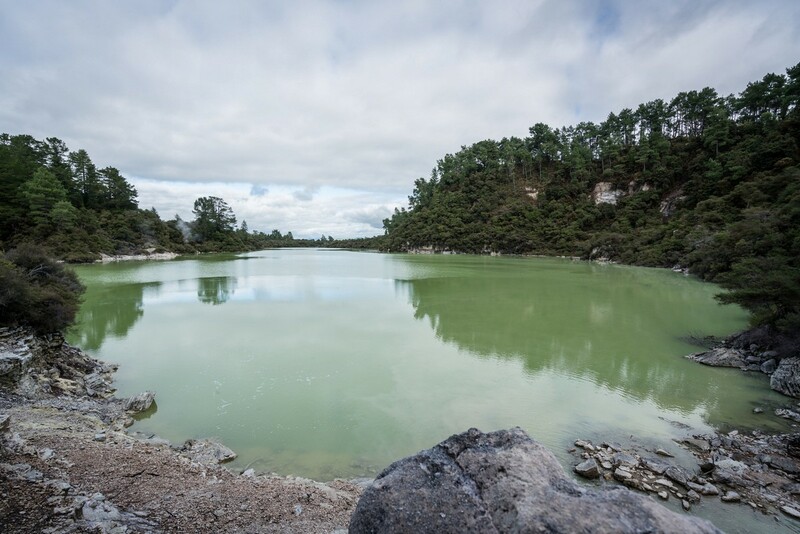 Waiotapu is not just about the geysers; there’s a whole lot more here that hisses, lets off steam and releases multi-colored bubbles. It’s probably the brightest geothermal attraction in the whole of New Zealand… well, except for the gigantic Terawera and Tongariro craters (which I’ll tell you about a little bit later). Others are just still lakes with graphite-colored water, which boils and bubbles in places. At some locations the PH values of the water is stated. No one felt like taking a dip. While taking in the elegant shapes of the local sights, I was reminded of some similar places on the Kamchatka peninsula, such as the Uzon volcanic area. However, while all the lakes, mud pools and springs in Kamchatka are certainly a curious sight, their layout is quite natural chaotic and disorderly. Here, in contrast, they are all neat, round and elegant, as though there were carefully drawn by somebody, scooped out, painted and then given a final clean before being unveiled. Oh! 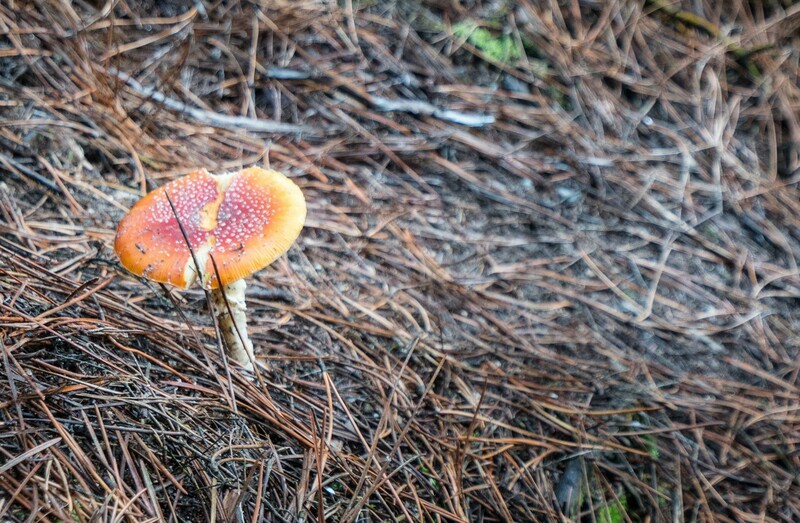 An Amanita! Among all the local novelties and all of New Zealand’s endemic plants, it’s very nice to meet a mushroom I’ve known since childhood. It was a very pleasant walk. All along the way there are paths, signposts and benches to sit on and take a rest. All around is a thick wall of green forest that looks fairly impenetrable. The multi-colored volcanic bubble features look all the better against this green backdrop. To complete the walk, here’s a mud pool, with its contents bubbling and gurgling away in small patches. 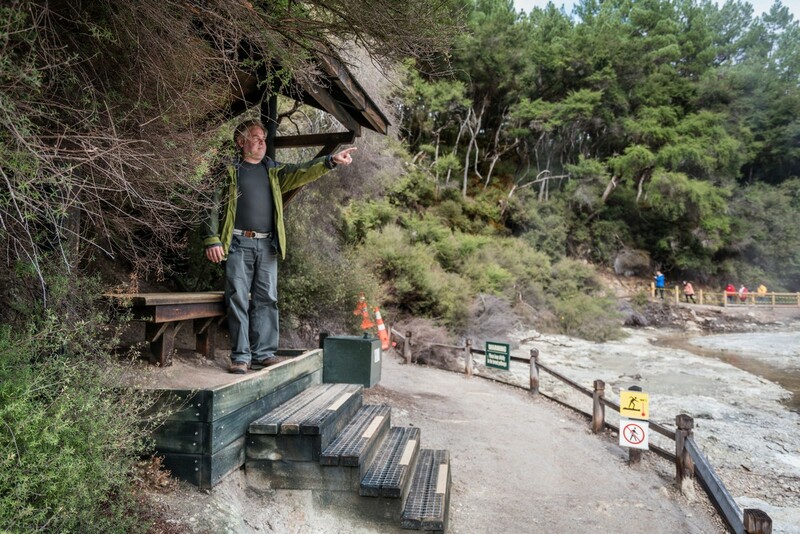 That’s all I have on Waiotapu. For a comparison, here’s are our impressions of the place when we visited back in the winter of 2013. The scent of a geyser. 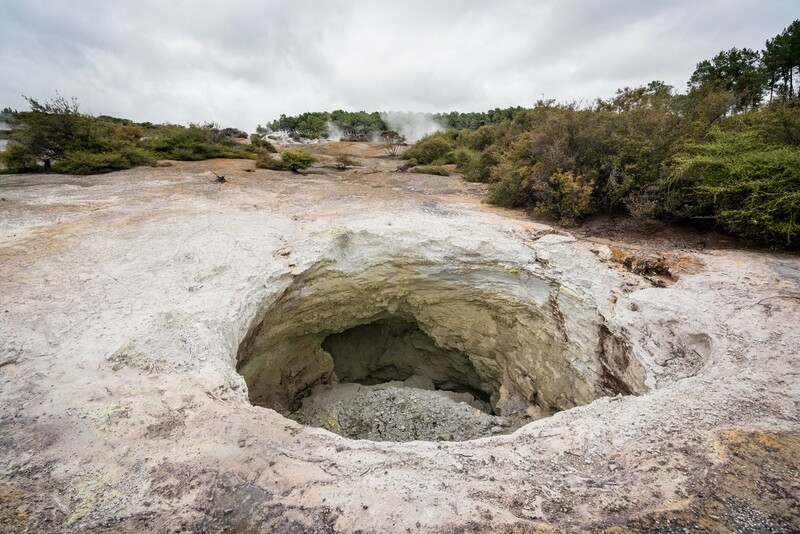 The Rotorua area of New Zealand turned out to have a high concentration of volcanic tourist attractions. There are a dozen or so places in the vicinity (within a 30-minute drive) that I’d recommend visiting. So, where to start? If you don’t know where to start, start from the beginning. © I’ll take this advice, and… start with a question. What geysers have you already seen, and which was your favorite? That’s a very simple question to get us started. While you think, let me give you the bigger picture. There are four geyser regions in the world: Yellowstone, Iceland, the Valley of Geysers on Kamchatka Peninsula, Russia and New Zealand. The hot springs in Atakama, Chile, are sometimes also included in this list. Also, they say there is a geyser areas in Mexico and Japan, but these are relatively unknown. A geyser is an absolutely stunning sight: a column of hot water erupting from the ground and reaching several dozens meters into the air. Everybody really should see one at least once in their lifetime. 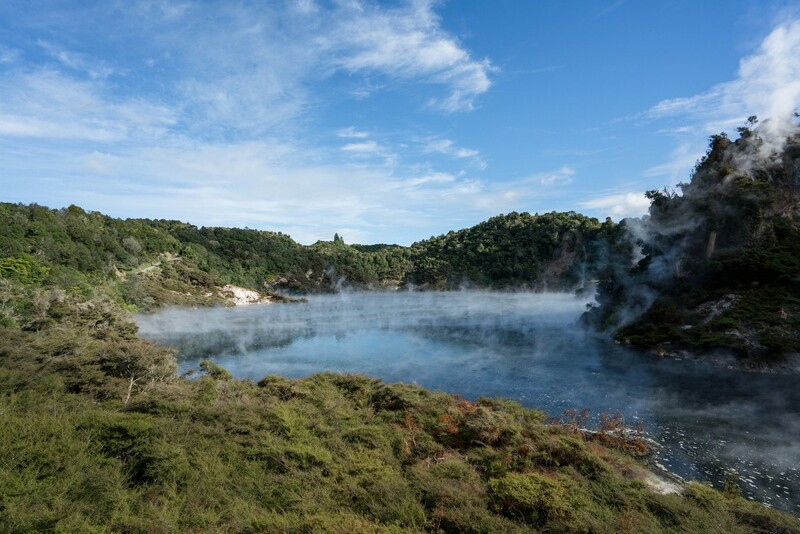 In Rotorua there’s a place called Te Puia – well, to be exact, the full name is Te Whakarewarewatanga O Te Ope Taua A Wahiao (source: Wikipedia). This is home to a geyser named Pohutu that erupts on a regular basis, roughly every 90 minutes. Rotorua in all its volcanic glory. Now, boys and girls, tell me what you know about volcanic eruptions? For example, what types of volcanic eruptions are there? Ah, I see you don’t know. There are actually several types. 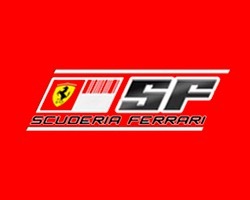 If you’re interested, check them out here. And how strong can they be? “Very strong!” – that’s the right answer. But scientists wearing lab coats and equipped with microscopes have identified 8 types of volcanic eruptions classified according to magnitude; this is called the Volcanic Explosivity Index. I especially like the “Description” column in the “Classification” table. It says eruptions can be effusive, gentle, explosive, catastrophic, cataclysmic, paroxysmic, colossal, super-colossal and mega-colossal. These terms are ideal for adding some diversity into your work slang and an opportunity to flaunt your knowledge: “Vesuvius and Pompeii – that was just a paroxysmic paroxysmic eruption!” (the repeated use of “paroxysmic” is tautologically quite legitimate here). However, paroxysmic eruptions are not that, well…, paroxysmic in relation to the Earth’s entire ecosystem – they only affect their immediate environment. However, super- and mega-colossal eruptions (levels 7 and 8) are altogether more serious. They can lead to a global dimming of the sun and global cooling for several years. During the history of humankind, this has only happened once – if anyone is interested, you can read about the eruption of the Tambora volcano in Indonesia in 1815. I and my fellow traveler A.B. 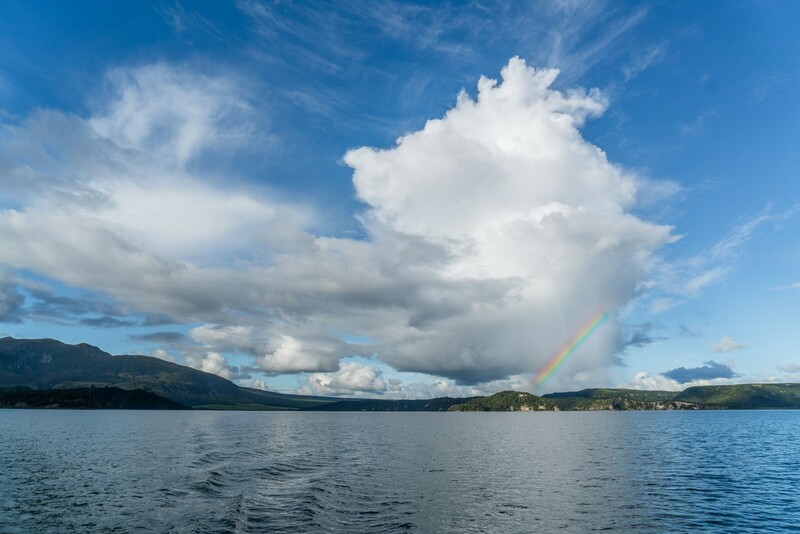 are travelling southward along New Zealand’s North Island, towards Lake Rotorua. A little bit of Internet research reveals that this lake is the crater of an ancient volcano which made a real bang some 240,000 years ago. Its eruption was (supposedly) 100 times more powerful than that of Vesuvius. Back then the islands that make up New Zealand weren’t inhabited, so there weren’t any witnesses of that super-colossal bang (luckily for them). And today, 240,000 years later, A.B. and I have once again made it to the very place where that colossal volcanic bang occurred. What can I say? Today there’s almost no trace of that ancient event. We visited the very place where the sub-plate mass burst into the atmosphere. No doubt it was a super-catastrophic ashes-magma-sound-and-light show. I’m not sure there were any surviving witnesses of any appreciable organic matter. It appears none of our simian ancestors were around to leave any carvings documenting the event in the local caves, but who knows? //1. By the way, it can be very cautiously stated that by that time the simian/human model had already transformed into a human/simian one, and reached the level of a prototype release of a light Homo-sapiens-type model. Don’t quote me on that, though. //3. I really, really hope that today’s political tumult is not evidence to support statement 2, i.e., that they have finally spent all their bonus money and are now back in a grumpy mood nursing a hangover. Maybe they need some hair of the dog? OK, that’s enough speculation. We’ve arrived. This is Rotorua, North Island, New Zealand. Hobbit Habitation in a Distant Nation. After Auckland, we drove south, heading for Roto-Vegas – aka Sulphur City. And the first place of special interest we came to en route was Hobbiton. Yes, the village where hobbits live; rather – used to live; rather – where they were portrayed as living when a film featuring them was shot. And not just one film but several Lord of the Rings films – about the lives and extraordinary adventures of little people who live in underground lairs with round doors and windows.